Graphium grows on wood, dung, seeds, and plant debris. It is the asexual (imperfect) state of Ceratocystis, Ophiostoma, and other ascomycetes. Graphium colonies grow rapidly, and are woolly to cottony in texture and gray in color. From the reverse, the colony is initially pale and becomes dark with age. Conidia are produced from synnemata, structures composed of bundles of darkly pigmented conidiophores. 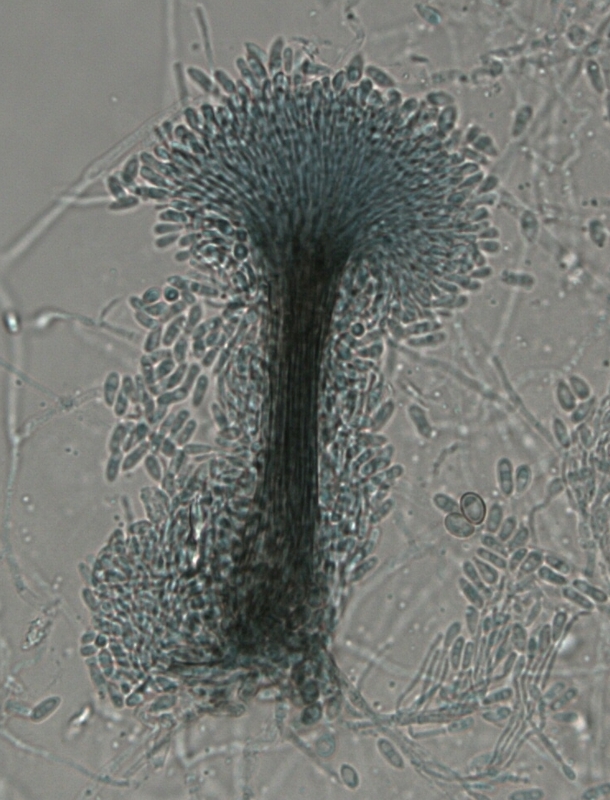 These synnemata are rigid and up to 5 mm high, and at the apex are annelides, which produce conidia that aggregate in a sticky mass at the tip of the synnema. The oval, colorless 1-celled spores are produced continuously from annellides. Although the asexual genus Graphium is not known to cause disease, some sexual species with Graphium teleomorphs have been known to cause infections in humans.